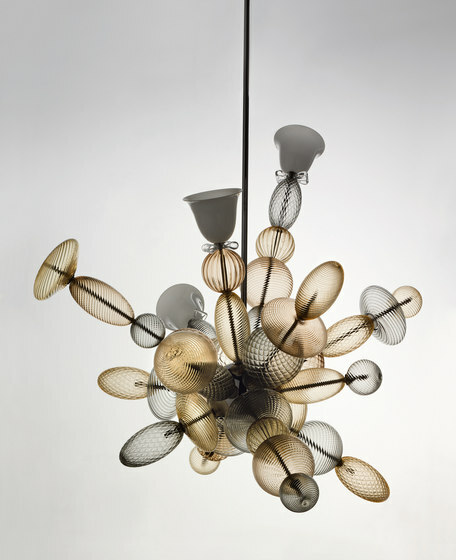 The collaboration with Marcel Wanders began in 2014 with an unforgettable event at the Cloisters of San Simpliciano in Milan. 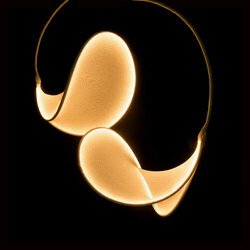 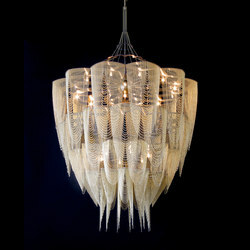 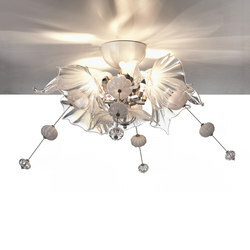 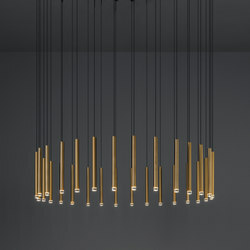 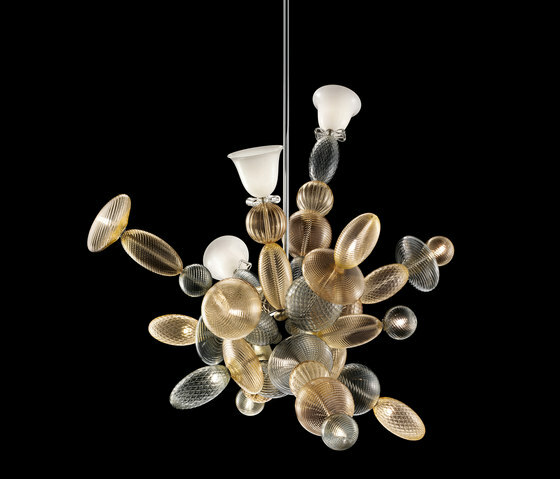 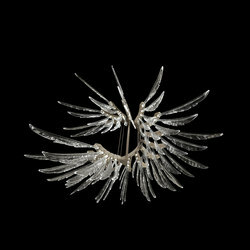 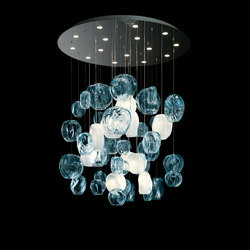 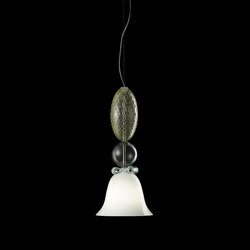 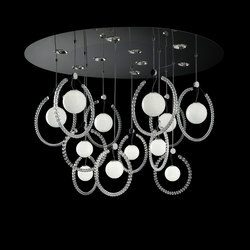 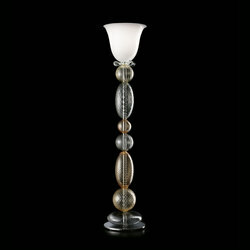 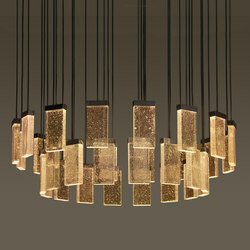 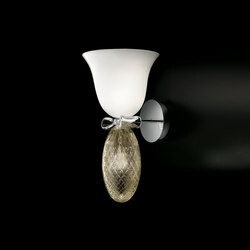 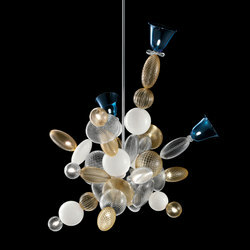 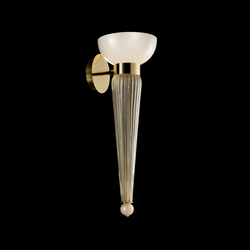 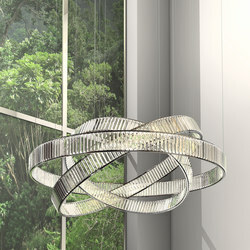 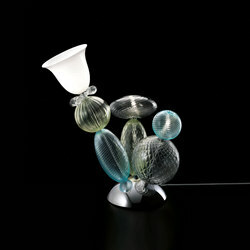 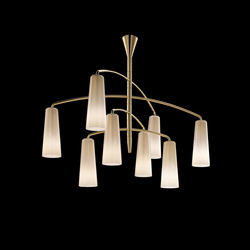 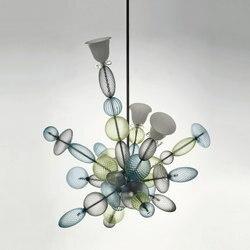 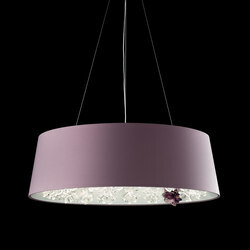 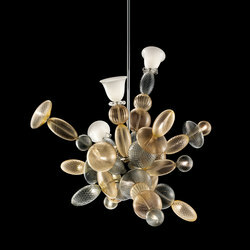 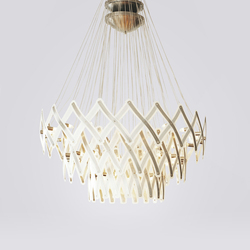 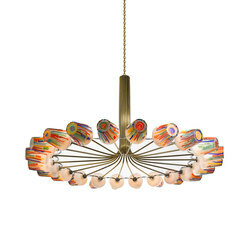 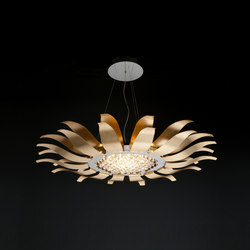 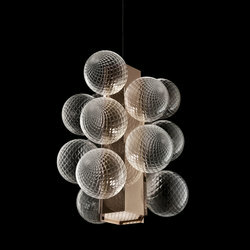 It has led to the creation of Perseus, a bold and almost subversive chandelier that has been a huge success. 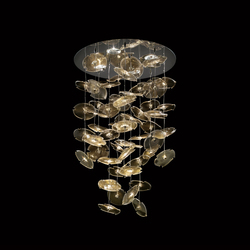 This year the Perseus collection has been expanded to include five new models: a table lamp which perfectly complements the chandelier, two differentsized suspended lights, a floor lamp and a wall light. 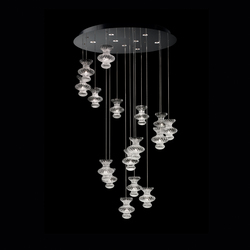 The different processes that each individual glass component is subjected to and the carefully-selected color combinations are the distinguishing features and hallmarks of the whole collection. 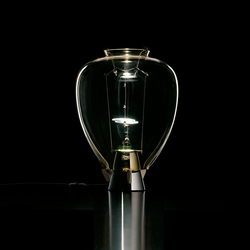 LED lighting (provided as standard) is used for the table lamps and wall lights, whilst traditional bulbs are used for the suspended lights and floor lamps.